Waveform and Vector Scopes. 16 audio channels with de-embedder and built-in speakers. Support for 2K. 3G SDI Single Link and Dual Link. Picture in Picture and Picture by Picture … each frame to achieve its goals simultaneously and with the possibility of monitoring dual SDI signals simultaneously. RGB Parade. Digital and analog Signal Processing po inputs.10 and 10 bit panels. Factory calibration for various color ranges which can be modified on the fly: DCinema, 709, 601, EBU. Similar to BVB, these units have 4: 4: 4. Waveform and Vector Scopes. 16 audio channels with de-embedder and built-in speakers. Support for 2K. 3G SDI Single Link and Dual Link. Picture in Picture and Picture by Picture … each frame can achieve its goals simultaneously and with the possibility of monitoring dual SDI signals simultaneously. Digital and analog Signal Processing Inputs.10. Factory calibration for SMPTE Rec 709 color range. 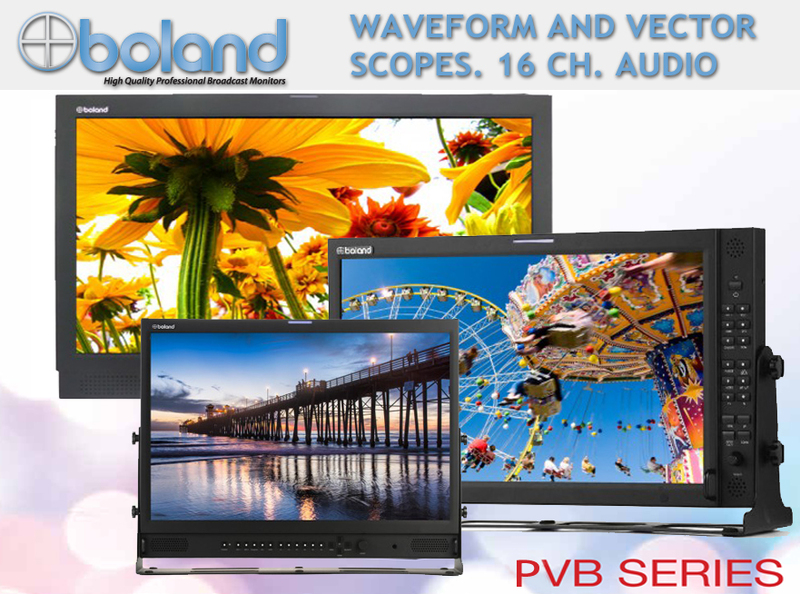 The biggest difference between the BVB and PVB Series is that BVB uses 10 bit panels on 17 “and 24” formats, while PVB uses 8 bits. 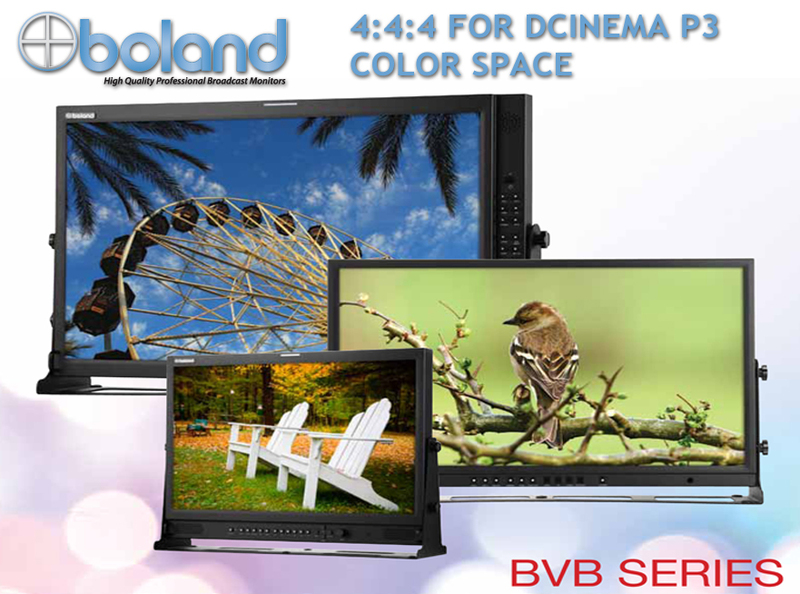 And BVB allows DCinema / P3 color space, while PVB focuses on SMPTE 709. Of course, it costs less PVB, which makes it an extraordinary selection when functionality is needed in the field. 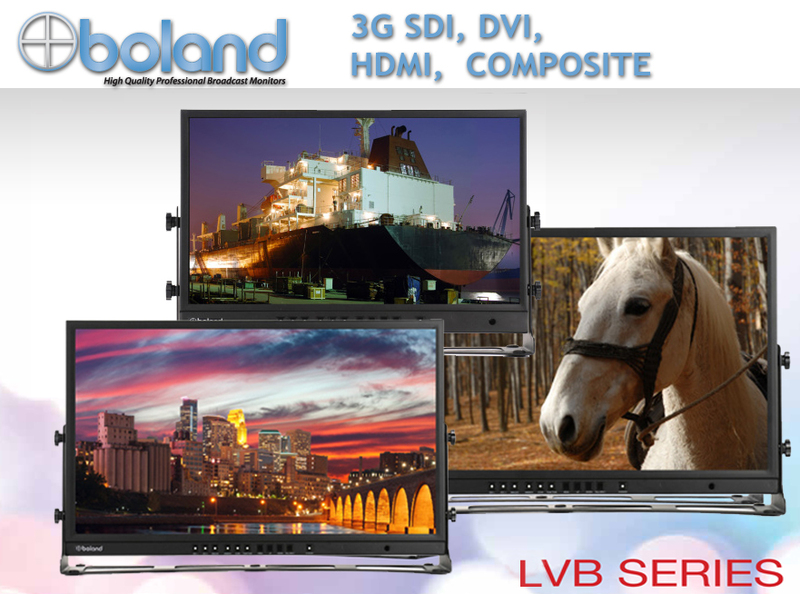 Value is important, and Boland understands. That’s why LVB was created. It is our series that is high value, but short on price.